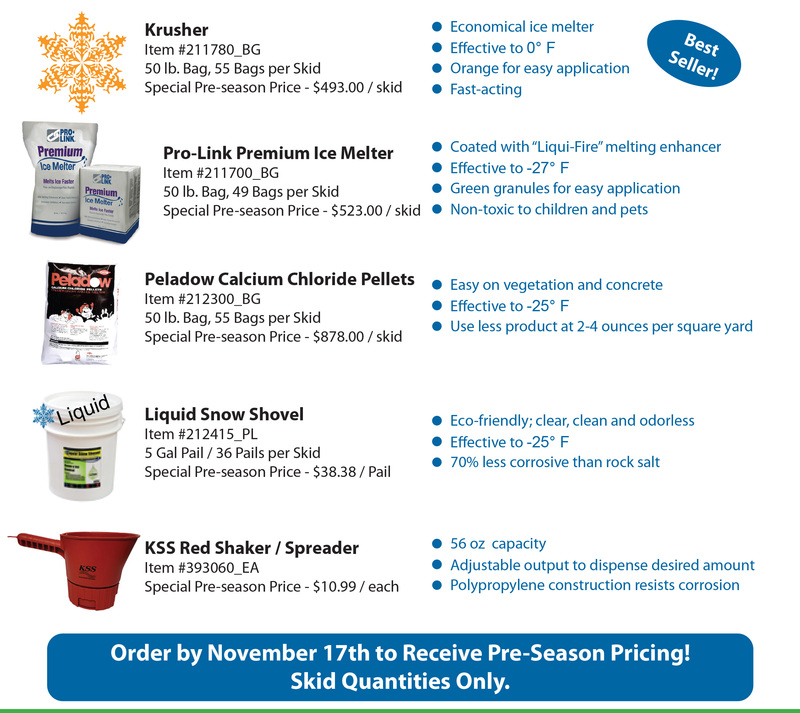 Keep your facility safe this winter! Help prevent slips and falls with ice melter products from KSS. With a variety to choose from, we have what you need. Talk with you sales consultant, give us a call at 800.638.4191, or click here to contact us.